Widespread Panic at Red Rocks 2017, Studio 54 Gets Greased. 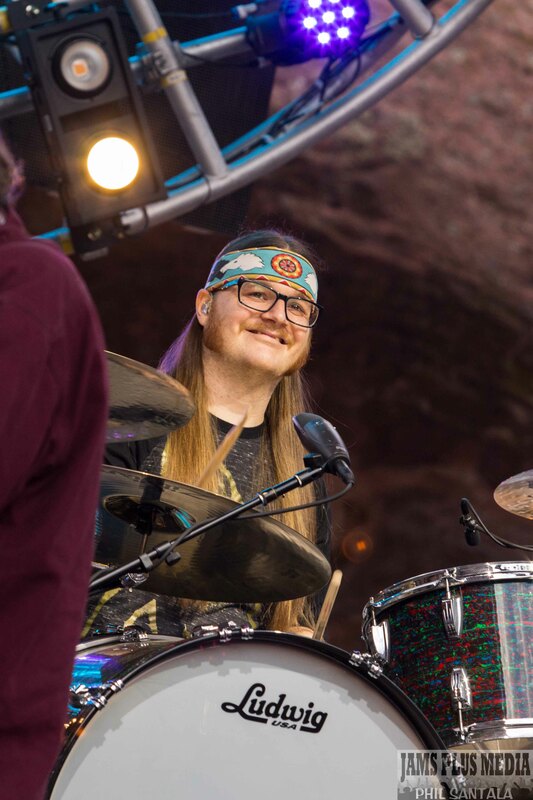 Studio 54 as, it was known, happened Sunday at Red Rocks Amphitheatre. 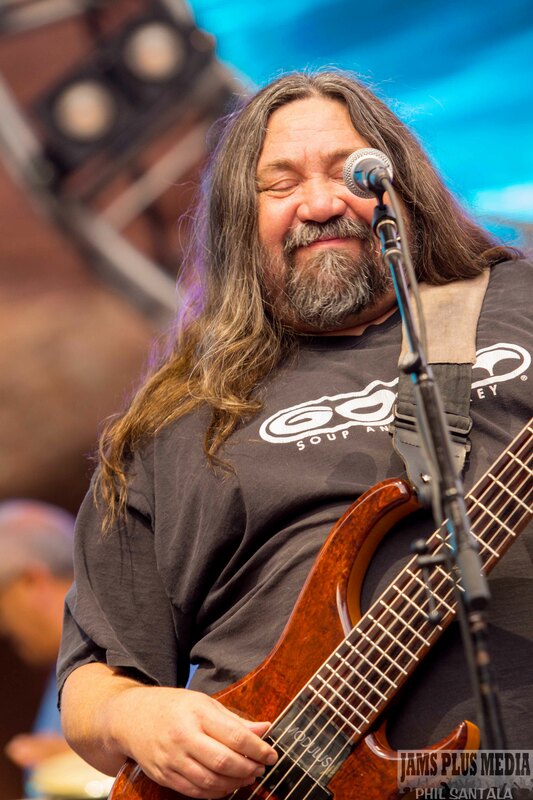 It was Widespread Panic’s 54th consecutive sold-out show at Red Rocks. This year has seen a shift for the band, and many of the fans. Gone are the days of 30 and 40 show summer tours. This summer finds the band holding court at a few select festivals and multi-night runs. 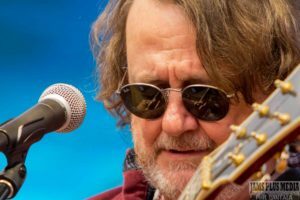 At least for now John Bell has stated that the band is “trying it on for size.” What the future holds for touring is unknown to all at this time. The worry might be that given such limited engagements over such long stretches that the band might not be as cohesive on stage. Over the course of 3 shows in Colorado none of the multitude of fans I spoke with shared this concern or thought after Friday’s 1st set. The opposite seemed to be true. The band seemed as tight as ever, perhaps the best they have sounded during the Duane Trucks era. They sounded fresh, well rested, and ready to ride till the last note fell. 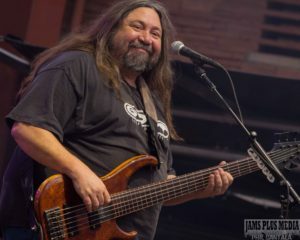 Numerous die-hards commented that JoJo Hermann seemed to be lighting the keys up all weekend, while others felt they had never seen bassist Dave Schools smile more on-stage. 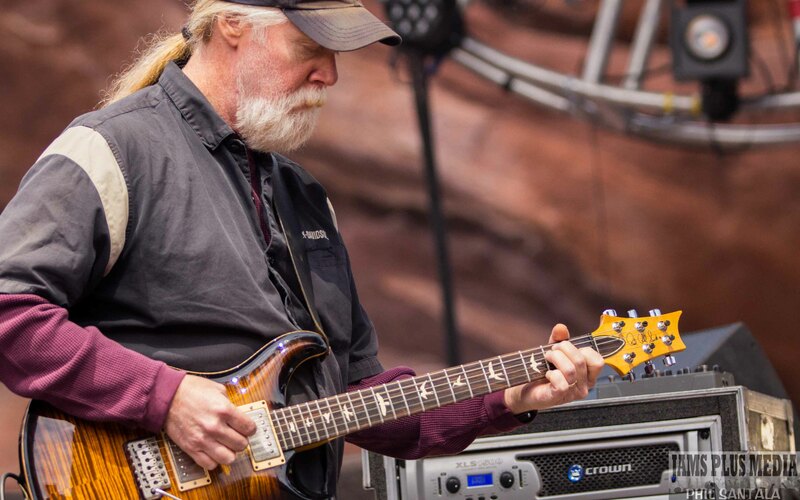 John Bell was of course the consummate John Bell. The steady captain and cool leader that he has become known to be. The speculation as to where the weekend run would take us was blown out the window after chord one of night one’s first song. “Postcard” opener?! The band would show that not only were they rested and ready to play, but that all bets were off all weekend. 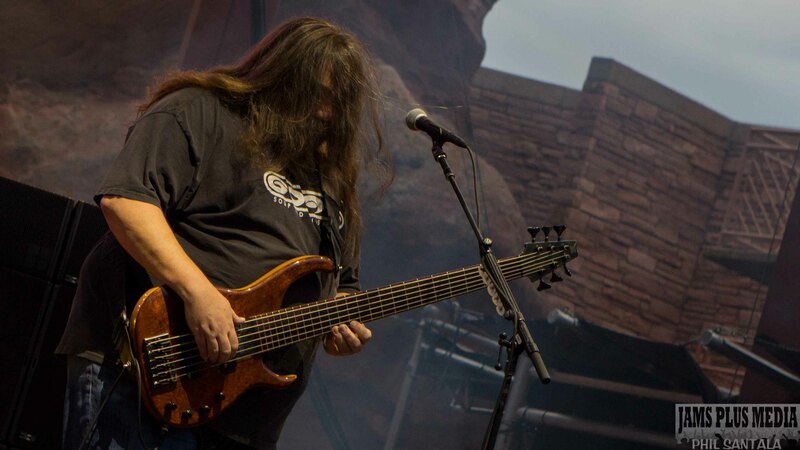 They also are no longer constrained to the proverbial “what have we played for 3 shows.” Sure Postcard has opened shows, even the storied 2011 Red Rocks run. But still, wherever it does, you know you’re in for a hell of a time. The often seen 1st set opener “Let’s Get Down to Business” seemed to further this point as a second set opener. Other standouts from the opening night included a “New Speedway Boogie” rap by Dave during “One Kind Favor” and the Machine>Barstools and Dreamers. 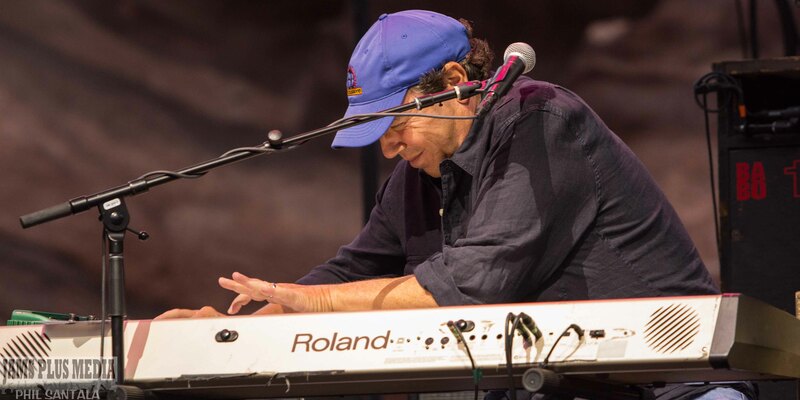 Saturday’s show featured a eloquent rendition of the Bob Dylan classic “A Hard Rain’s A-Gonna Fall.” In it’s 9 appearance at a Panic show, this ballad does well. It pairs nicely with JB’s whiskey-smooth growls and gruffs. It allows the full range of his baritone to tenor to be shown. Earlier in the set a “Walkin’”, without it’s distinct pause, capped the Colorado mandated “Surprise Valley” sandwich. The encore Saturday night really lit the engines, almost literally. 4 massive Disco balls had graced the stage for the Studio 54 run. Coming out the the encore break they would be put to good use. A recorded video with audio of a rocket launch shook the stadium as the band came back onstage and launched the venue into orbit with a “Disco> Low Spark> Tie Your Shoes> Low Spark.” Jaws hit the floor, feet hit the air, whiskey ice wasn’t the only thing being melted. But before you wake up in the mornin’ Widespread had one last bust out to take break off. The band returned to the stage for the encore with the Studio “54” numbers behind them. A closer look at the members had found a pretty distinct wardrobe change had taken place. 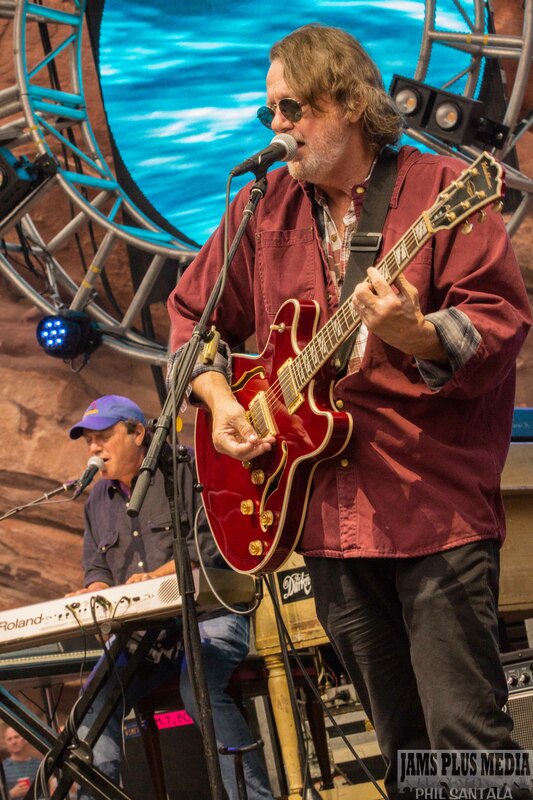 Every member of the band, including Edie Jackson, had changed into a black shirt with white “GREASE” emblazoned on it, with “Home Team” and a picture of the late-great Col. Bruce Hampton on it (You have to assume Jimmy Herring had his on, under the top unbuttoned button of his long sleeve). Grease you ask, WTF is that? Is it a reference to the Late Col. Bruce Hampton’s Band: Hampton Grease Band. Sure is! But it’s more than that. Grease, you see, it’s a way of life. An attitude about living…and music…and well death. In 2014 the late Hampton said: “See, our main ambition in life aside from growing a bosom on top of our heads is to die on stage and when we die on stage that will be when we ultimately reach Grease.” Poster artist printers at Ruby Sue worked up the shirts for the band and the crew. The band put them on and launched into the most fitting tribute possible. The last bust out of Sunday was the last full song the Late-Great-Grandfather of Jambands ever sang/played before he greased his way off of this mortal coil and into the cosmos beyond. 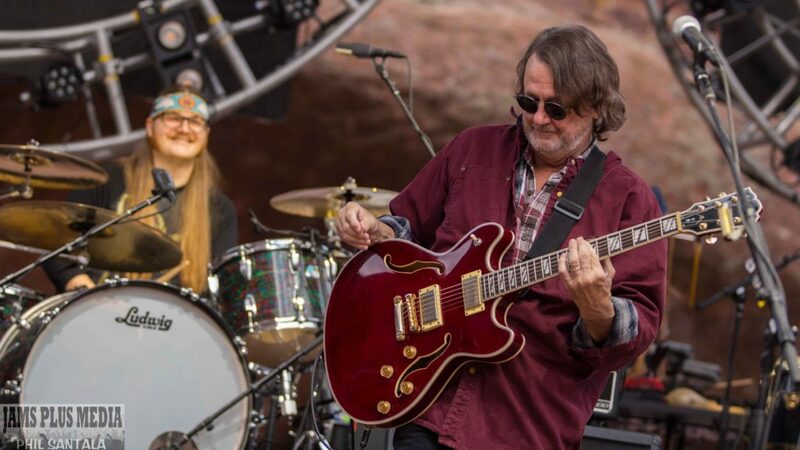 In it’s 1st appearance since 7/8/2003, 955 shows ago, the band absolutely killed the Cream song: “I’m So Glad.” John Bell and could not have done any better. 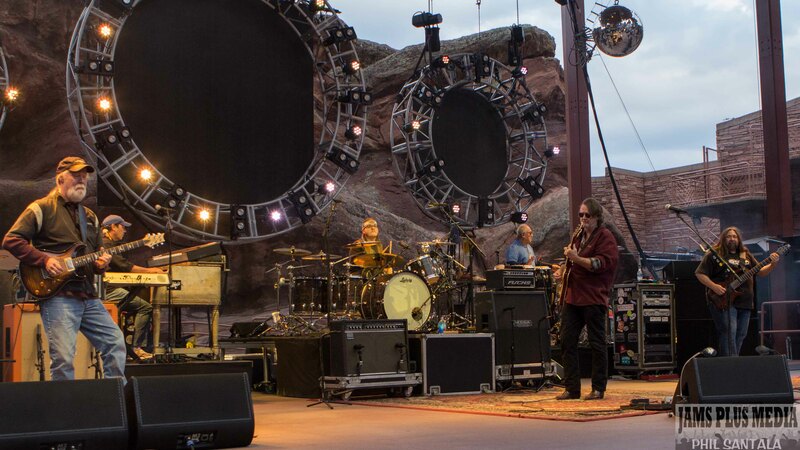 52, no 54 shows into their tenure at Red Rocks the band showed why they are always ready to ride. The stalwart encore song “Can’t Find My Way Home” closed out the run. I’m a huge fan of this cover. John Bell’s vocals are always shine thru on this, and the song sums up so much. Sorrows and hardships, big joyous sounds and low rumbling waves, window panes and open roads. Widespread Panic carries us, their fans through it all. They do it for themselves, because it’s what they love to do. But in doing so they do it for us as well. Man, do they do it for us! When we’re tired of weeping, tired of moaning, tired of being wasted, tired of not finding our way home they remind us of all that is possible. To be glad, to be sad, to be so far from home, yet so close to it. Cheers to finding your way home!